About a month ago, we announced the Power BI Best Visual Contest, which concluded last week. When we kicked off the contest our goals were simple; we wanted to allow you to showcase your creativity, express your ideas and at the same time achieve the unique visualization requirements you might not have been able to realize in the past. At the same time, we also wanted to encourage our community of Power BI users to engage with each other and engage with Microsoft, all the while having some fun in the process. What a contest it has been, we are truly blown away! We expected to get some great entries, but the submissions from our community have truly stunned us. Your hard work and creativity made the impossible, now possible with Power BI. 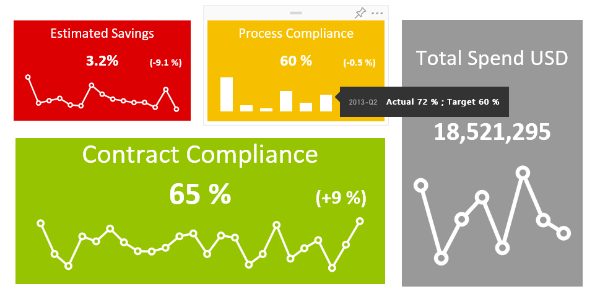 No visualization is off limits, and any visualization need you have can be achieved with the flexible and customizable visualization extensibility we’ve built right into Power BI. Let’s get to the exciting part and talk about the winning entries. Selecting just three winners from such a great backlog of entries was very challenging, but we believe that the winning entries leveraged the Power BI custom visual capabilities in the most creative and useful ways, along with being great pieces of technical work. I am pleased to announce that our Grand Prize winner is the Synoptic Panel by SQLBI*! The Synoptic Panel connects areas in a picture with attributes in the data model, coloring each area with a state (red/yellow/green) or with a saturation of a color related to the value of a measure. Starting from any image, you draw custom areas using http://synoptic.design/, which generates a JSON file you import in the Synoptic Panel. 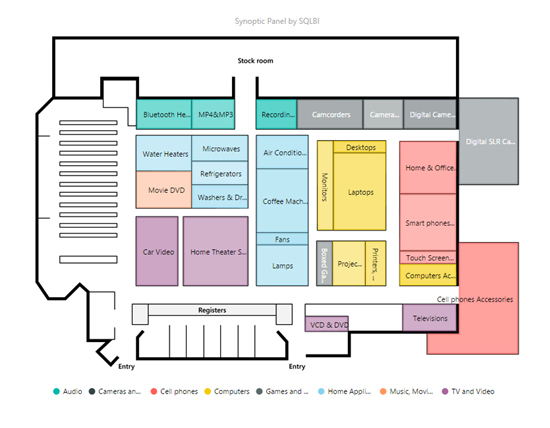 You can visualize data over a map, a planimetry, a diagram, a flow chart. The second prize of $2,500 goes to KPI indicator with status, deviation and history*. This visualization is all about visualizing Key Performance Indicators. The status is presented as a color indication, comparing the actual and target values. Deviation is presented as distance in percent of actual from target. The history (trend) is presented as a line or a bar chart. It is up to the user to decide the granularity of the data displayed. Any dimension attributes can be used, but it’s recommended to stick to the ones in your date dimension. The third prize of $1,500 goes to Hexbin Scatterplot*. 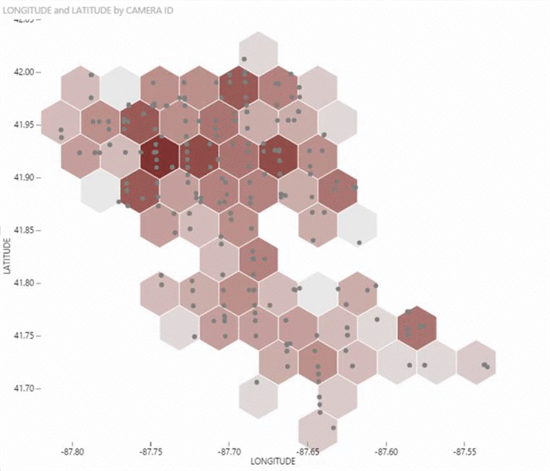 The Hexbin Scatterplot for Power BI is a variation on a traditional scatterplot that involves clustering points onto a uniform grid of hexagons. Rather than relying on size to indicate differences in values like a bubble chart, the hexbin plot instead uses variation in bin color similar to a heat map. A higher saturation or darker color indicates higher density when working with two measures. A third measure can be added so that the plot colors change from indicating point density to instead encoding the value of the third measure. Bin radius can also be adjusted. We are incredibly thankful for the work that every single contestant put in, and we are very excited about the community of developers and developer excitement building up around Power BI. There’s a lot more to come from us in this area. Keep a keen eye on us; we think you’ll like everything else that we have planned in this space.